Backup is one of the most important things to do in your digital life. This is EXTREMELY important for those who have to work with sensitive data and important files where data corruption can lead to a major disaster. For example, your office document is already in your 5-years old HDD in your computer. Now, if you keep a backup of your important files elsewhere, then the HDD, no matter whenever its fate decides, can rest in peace. In the case of Linux systems, there are a number of available backup solutions that offer professional grade support and performance. These tools are essentially software that make a copy of important files in a safer place. There are numerous scenarios where such a tool can save the day. For example, whenever you are upgrading your system or installing a major component, things are too easy to go wrong. In that case, a system backup would save you from any problem. Here are some of the best backup tools for Linux. This is a command line tool for Linux systems. No need to fear as there’s also a graphical interface of the tool – Grsync. Expert admins are able to get the maximum out of it. For general users, it’s better to go with its graphical interface version. Besides Grsync, there’s another front-end tool to make rsync work – Luckbackup. For advanced usage, the command line version is more useful as it allows more versatility for automation and scripting. We’ve already covered a great tutorial on using rsync for performing auto backup. 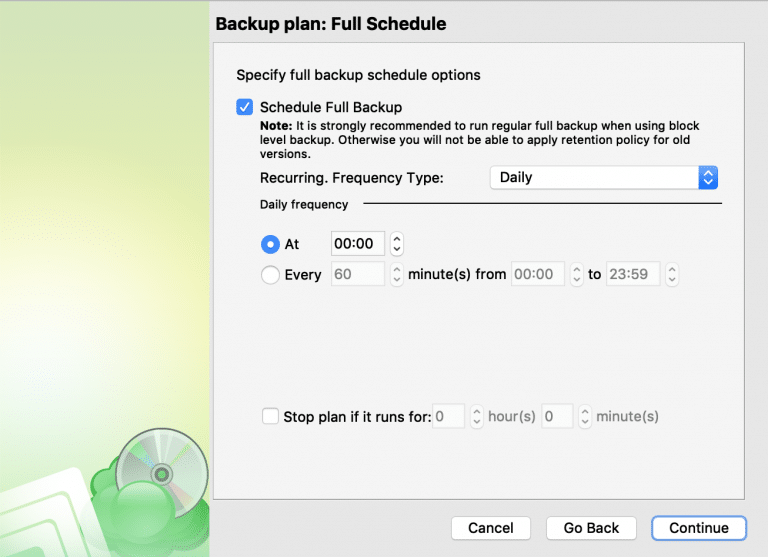 For Linux Mint users, Timeshift is a tremendously powerful tool that can save a lot of time in terms of system backup. This tool is also available for other Linux systems. If you’re not a Linux Mint user, then you also have the option to secure your system with Timeshift. Timeshift was also featured on Linux Hint. Take a look at backing up and restoring your Linux system with Timeshift. It is advertised on the Timeshift website as a tool that will be familiar to Mac users with the proprietary Time Machine tool. Other features of Bacula include: Catalog Services, Ability to find and repair damaged files, TLS authentication, compression and accurate backup, writing to multiple volumes, virtual backup and duplicate job control and a Monitoring UI. It’s another awesome open-source tool for backup on Linux written in C and Perl. Originally developed at University of Maryland and now homed at Amanda.org and Sourceforge. Amanda is also available for other platforms like UNIX and Windows. 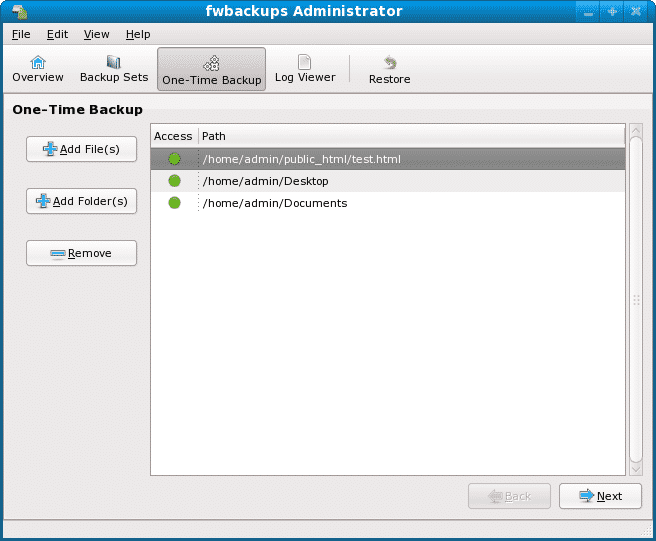 The tool supports native backup facilities and formats that can even perform backup on Linux system. You can also use Amanda if you wish to make a backup from several machines that are on a network. Other features of Amanda include: Intelligent scheduling, auto data retention and deposition policy, rapid installer, backup fault tolerance, flexible media options, tape management, encryption, and integration with Kerberos. Brought to you by CloudBerry Labs, this solution comes in a Freemium model with a free version and an enhanced paid version both for Linux operating systems. The solution will backup a linux system to the cloud of your choice. You can use the Command Line Interface or the WebUI to perform full or incremental backup jobs. Schedule Backups and retention policies based on a calendar and get notified via email for successful backup jobs or errors. Encryption and compression are available in the paid version. Now having a limited space for backup’s is not a problem by leveraging commodity cloud storage you can control. The main mechanism of this software includes cloning and imaging partitions, udpcast etc. Clonezilla comes up in 2 different variation – one for the general users (Clonezilla live) and another for server usage (Clonezilla SE). As the name implies it is focused on system images and system cloning, but in addition Clonezilla is suitable as a backup and restore tool as well. Just the name suggests, this tool is able to send your system and/or your file(s) and directory(s) back in time! 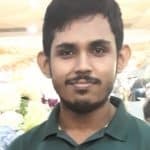 Its a simple tool written in Qt and Python. In reality, the tool takes a snapshot of your target file/directory into the backup directory. You can easily set the backup frequency. Its available in Ubuntu PPA, Arch repos or build from source. On the project website it claims: “Back In Time – A simple backup tool for Linux“. This is a powerful reinforcement backup tool for Linux users. This tool allows plain reinforcement action design documents. The tool can hang the documents in “/etc/backup.d/”. The processes this tool perform are secure, remote and provides incremental reinforcements over a system. BackupPC’s home page claims it is a “high-performance, enterprise-grade backup system”. This tool doesn’t require any client-side software for running the entire process. This tool also features full file compression and doesn’t use much disk space. Other features include: highly flexible, huge documentation, full set of restore option, extremely powerful web UI. Here is another free and open-source tool for backing up your file(s) and directory(s). The tool features a really simple and self-explanatory interface. This tool is cross-platform and boasts of high user satisfaction rate. Other features include: excellent and simple interface, remote backup, entire file backup, exclude file(s) and/or directories or backup the entire system. This is a fairly straightforward and simple toolset that does not claim to be enterprise grade. Burp is a feature rich, free and open-source tool for backup. This tool is able to take snapshots of both the Linux and Windows system, it is network speed and disk space optimized for high performance. It can utilize either rsync or a specialized de-duplication algorithm for efficiency. Features include: resuming interrupted backups, schedule backups, backup and restore file(s), directories, hardlinks, symlinks, nodes, permissions and timestamps as well, advanced network compression and throttling, delta differencing, encryption, scheduling, automated retention periods, and notifications. If you’re in search for a simple backup tool, then Déjà Dup is a perfect choice. In fact, this tool is also able to cloud backup your files and directories to cloud services like Google Drive and Nextcloud. That’s a really good feature. Other features include: duplicity as the backend, compression and encryption of data, incremental backups, scheduling backups. To safely backup your Linux system(s) you won’t need to shell out big bucks or use a proprietary system with all these FOSS options above. Be safe.